Alastair Campbell, MP for Hampstead and Kilburn. Imagine that. WAS there a sharp intake of breathe from Camden Labour Party members last week and a look of ‘does he mean us’ flashed at each other? I’m thinking of the moment footballer (also: Tony Blair’s former press man) Alastair Campbell spoke on the radio and said he was thinking about standing as an MP in 2015. Wow. If he meant his home patch, the Hampstead and Kilburn constituency, where Glenda Jackson has indicated she will retire, undefeated, at the next general election, insert words cat and pigeons here. “All I’ll say to you is I get a lot of people asking me, particularly when I’m up here, and I do think about it and I am thinking about it and I don’t think there’s a fantastic rush. We sort of know when the next election is,” he told Iain Dale on LBC during Labour conference week. Alastair Campbell, MP for Hampstead and Kilburn. To think – he didn’t mention a constituency – but to think. The very idea eventually wheels us back to Camden 2006 if you’ve read the world according to Wauchope – or ‘Camden: A Political History‘, the book written by former leader of Camden Conservatives Piers Wauchope. Rather than play up too much his party’s own appeal at those historic council elections which saw Labour temporarily concede power at the Town Hall to a Tory and Lib Dem coalition, Piers wrote of how the appearance of Campbell – and Tony Blair – during the campaign had played into the hands of Labour’s adversaries. A picture of Campbell launching the campaign was supposedly a ‘gift’. Still, Alastair Campbell, MP for Hampstead and Kilburn. Imagine. 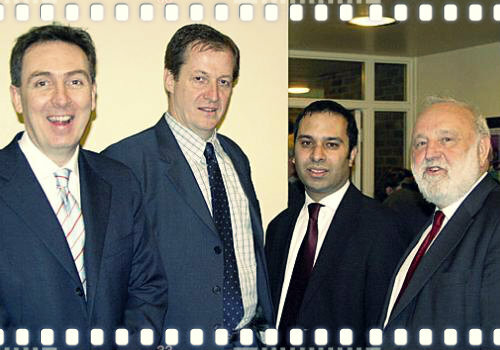 5 Comments on Alastair Campbell, MP for Hampstead and Kilburn. Imagine that. if, god forbid, IF – campbell is elected as our MP = i’m outta here ! Chris has already said he isn’t standing in Hampstead and Kilburn again. Ah Wauchope’s trusted Political History of Camden – the first history of the victors to be written by a loser. The tone of that comment makes me think you’d quite like to see Ally C as the candidate.